Yesterday I received a long awaited letter in the mail. It came from the US Department of Commerce, Economics ad Statistics Administration. Along the bottom, it read US Census Bureau. Above the window it read United States Census 2010. With fingers trembling with anticipation I tore open the envelope believing that finally I was going to see all the fabled questions I was not going to answer. Instead of the official, government authorized census form, I got a letter that read… in bold print yet, “About one week from now, you will receive a 2010 Census form in the mail.” The letter went on to tell me how important it was that I fill out the upcoming form so my community would get it’s “fair share” of the borrowed money coming from the beltway bandits. Well, it wasn’t phrased quite that way, but that was the point. I probably don’t have to tell most readers about this letter, because they apparently sent this out to almost everyone who is anyone. This was annoying on so many levels. First, just massive waste of such a mailing at a time when our government is running out of cash and borrowing from those who are not particularly friendly to us, or just printing more. They are telling us how important their government activities are and how we need to pay attention to them. 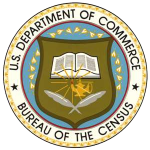 Second, I was struck by the audacity of the national government in general and the census bureau in particular as the letter was written as if they were actually going to give something to the localities that was not first taken from the citizens and that would actually benefit the local community. This is nothing new, and most the the readers have a pretty good grasp of why “federal aid” is just the shuffling of money from the states to Washington, the shuffling the money back to localities, minus the federal overhead, and minus the freedom of local control. It is the “in your face” approach of this administration that is particularly aggravating. It is bad enough the things that are going on in our country, but for those of us with the common sense to see them forcing themselves into our consciousness, this acts as a reminder of our failure to keep our country free from these statists predators. I couldn’t even watch the NASCAR boys run in Atlanta without seeing stickers on some of the cars hyping the census. This was mildly surprising as these good ole boys are not exactly the ones the Obama really wants to count. They do, however, feel the need to keep us under their control. I understand that money is tight and running a race team is expensive, but I was disappointed that some highly respected teams would take this government money to promote this questionable enterprise. For everyone but the three people living under a rock a few miles west of Schnecksville, PA, we know the census is coming. Many of us object to its intrusive questioning, heavy handed tactics and shenanigan rich plans to count all residents… legal and otherwise. It’s a troublesome situation we are facing and we can’t give up in frustration, no matter how powerful and pervasive our opponents appear. We need to remember much of what we see is merely smoke and mirrors. They make the rules for now, but we can play the game with our own spin.